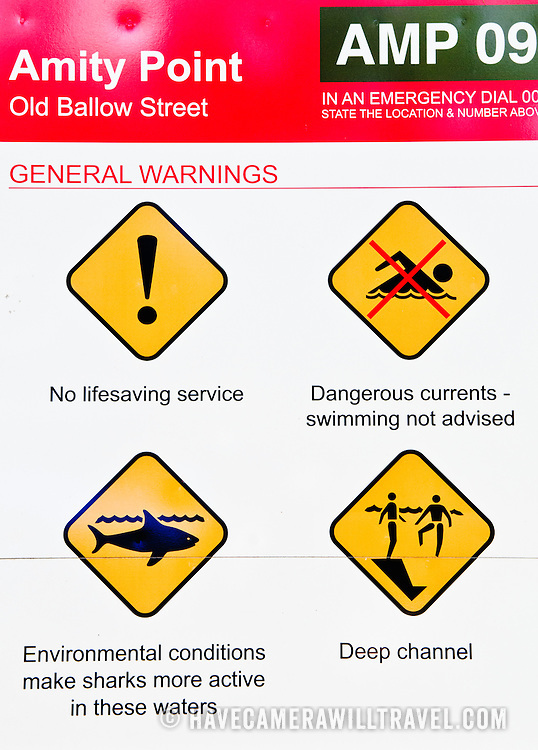 Hazard warning sign at Amity Point on Stradbroke Island. The area has been the site of a number of shark attacks. North Stradbroke Island, just off Queensland's capital city of Brisbane, is the world's second largest sand island and, with its miles of sandy beaches, a popular summer holiday destination.